Robert Click is a Senior Vice President in the Columbus (Central Ohio) office of CBRE. Mr. Click currently focuses his time on special projects and major client development and representations after a lengthy career in numerous leadership positions within the company. Mr. Click dedicates a significant portion of his time to serving as receiver for office, industrial, and retail assets on behalf of various courts. He has over thirty years’ experience in this area and his investments in mutli-family, office and hotel properties, as well as extensive experience in property management and brokerage create a unique resume which provides valuable perspective for the parties of these assignments. Mr. Click was the Senior Managing Director for the Columbus office from 2002 through 2014. In this capacity, Mr. Click was responsible for the activities of all business units, including: Brokerage, Valuation, Global Corporate Services, Real Estate Management, Leasing, Investment Properties and Project Management and Construction. In his prior position as Executive Managing Director with CBRE, Mr. Click’s responsibilities included: leadership of the central one-third of the U.S. for Asset Services (representing over 110 million square feet in fifteen markets); development and leadership of the Strategic Accounts Group (a team of real estate professionals located in New York, Chicago and Southern California, dedicated to coordinating, promoting and maintaining business activities between CBRE and the firm’s largest institutional ownership clients representing over 130 million square feet of office, industrial and retail investment); and the acquisition and disposition of offices in several markets. 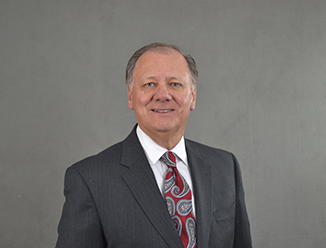 Mr. Click has served on the Eastern Division Executive Committee and currently chairs the 401K committee for CBRE. Prior to joining CBRE, Mr. Click was Executive Vice President and Co-Chairman of Columbus, Ohio-based Mathews Click & Associates, which was acquired by CBRE in 1998. Mathews Click & Associates was the largest independently owned brokerage and property management firm in Columbus with offices in Cincinnati, Dayton, Indianapolis and Charleston, West Virginia. In addition, Mr. Click holds ownership interest in hotel, office and apartment properties in Ohio and Michigan. Mr. Click’s expertise as an owner of investment properties and real estate operating companies provides an expansive knowledge base with which to advise service clients of CBRE.